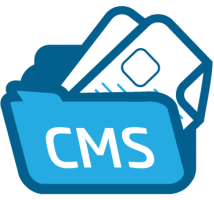 BLOG:CMS is the most complete, feature-packed, personal publishing system on the market. It includes state-of-the-art weblog, forum, wiki engine, news aggregator (atom / rss), and photo gallery. BLOG:CMS is probably the only system that is not only w3c valid, but also ships with application/xhtml+xml MIME type by default, for top performance on modern browsers like Mozilla, Firefox, Safari and Opera. But BLOG:CMS will also automatically supply older standard, text/html, to browsers which cannot handle this, like obsolete Microsoft Internet Explorer. With BLOG:CMS, you can set up one or more weblogs. If you want to, you can even show the contents of multiple weblogs on the same page. With BLOG:CMS, you can host discussions to your articles in either your weblog, or in a forum. This gives you much more possibilities and freedom for larger discussions. BLOG:CMS members are automatically registered in your forum as well, and within your weblog you can see date and time of last forum post for each article. Sign up for our UK BLOG:CMS Hosting with no risk to try our excellent service start from £2.99/month! ASPHostDirectory.com offers cheap BLOG:CMS Hosting to all our new and existing UK customers. You can try our services before buy it. Get FREE 7 days Trial Hosting with us. There's no obligation to buy — you can upgrade to a more robust account or cancel at any time. No risk anymore, why wait longer?